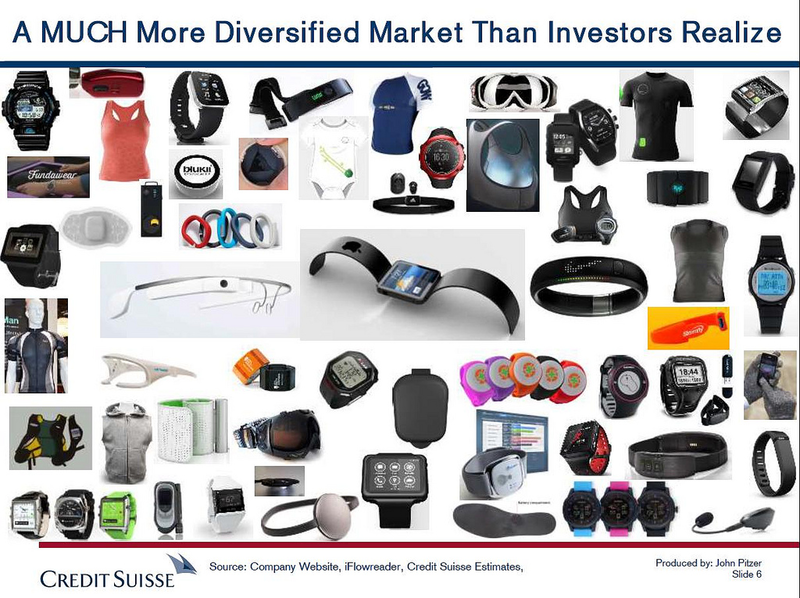 The connected health and wearable devices market has a multitude of participants, including specialized consumer electronics companies, such as Fitbit, Garmin, Jawbone, and Misfit, and traditional health and fitness companies, such as adidas, Nike and Under Armour. In addition, many large, broad-based consumer electronics companies either compete in fitness market or adjacent markets, including LG, Microsoft, and Samsung. Individuals and employers are increasingly focused on health and fitness. A variety of factors, such as changing consumer lifestyles and demographics, combined with rising healthcare costs and employers’ increased emphasis on productivity, are leading individuals and employers to increasingly focus on health and fitness. Consumers spent over $200 billion in 2014 on health and fitness services, such as gym and health club memberships, commercial weight management services, and consumer health products, such as weight management products and dietary supplements. In addition, IBISWorld estimates that the corporate wellness industry will grow from $7.4 billion in 2014 to $10.4 billion in 2018 in the United States. Advances in technology have enabled the emergence of connected devices. 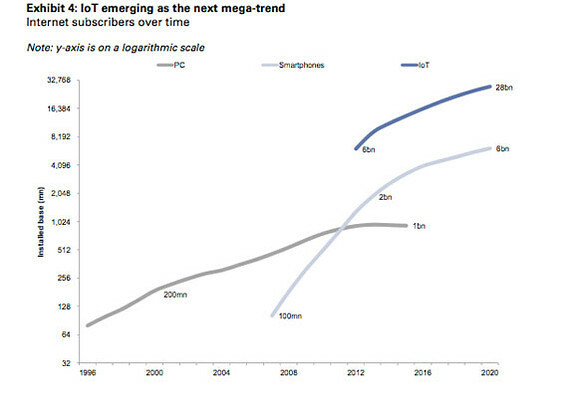 Recent technological advances in sensors, lower power components, and longer-life batteries, combined with the introduction of wireless standards, such as Bluetooth low energy, have enabled the emergence of connected devices that are smaller, more power-efficient, track a broader range of biometric data, and fit a wide range of consumer preferences. Mobile devices have become the preferred platform for accessing information. Mobile devices have become the preferred platform for people to access information and manage their lives, as well as the primary hub to connect a variety of consumer devices. According to Gartner, by 2018 more than 50% of users will go to a tablet or smartphone first for all online activities. More individuals are turning to technology solutions to improve health and fitness. Individuals are increasingly using mobile apps and other software to improve health and fitness, allowing consumers to directly manage and track their health and fitness in unprecedented ways. According to The NPD Group, over 25% of U.S. consumers reported using a fitness app on their smartphone. The goal is collect real-time biometric data to feed EMR for clinical care management and CRM for outreach and engagement. Apple’s mobile App, called “Health”, will collect an enormous of realtime data in the form of number of body metrics including blood pressure, heart rate, and stats on diet and exercise. Data is collected about personalized daily fitness goals from either motion sensors in phones or next generation wearables like the Watch. Health will constantly monitor key health metrics (like blood sugar for diabetics or blood pressure), and if any of them begin to move outside the healthy range, the app can send a notification to the user or a surrogate like user’s doctor. What Apple does well as usual is providing simple, easy-to-use dashboards consumed via mobile apps for health and fitness (see below). The mobile Health app will share all its information with a new cloud platform called “HealthKit.” The new health cloud platform is designed to act as a global repository for all the user’s health information. It will accept data collected by a variety of third-party devices and apps. For instance Nike is now working to makes its health and fitness apps integrate with HealthKit. HealthKit cloud-based platform is where the real heart of the operation is. It uses real-time and historical data, aggregating data from all the devices tracking vital statistics. 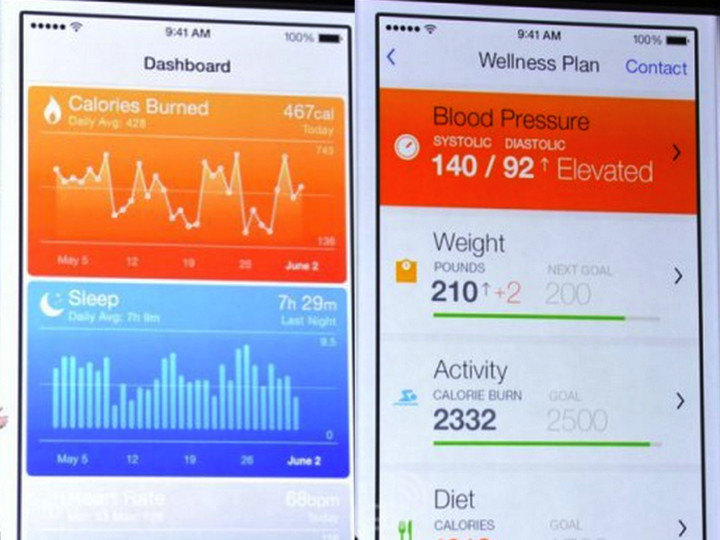 HealthKit will allow consumers to know more about their body and track every step. HealthKit also allows consumers to share data with healthcare Providers and even Payors. HealthKit also takes a big burden off developers who no longer have to build custom tools and various API interfaces to transfer, sync and collate health data. This way the developers can focus on value add apps like visualization, interpretation/analysis rather than plumbing like data security, permission gathering. So what’s the big deal? Apple’s iPhone 6, 6 Plus, and Watch are essentially migrating from part-time health stat monitor (Bluetooth heart rate monitors or step trackers) to full-time mobile preventative wellness monitoring platforms. 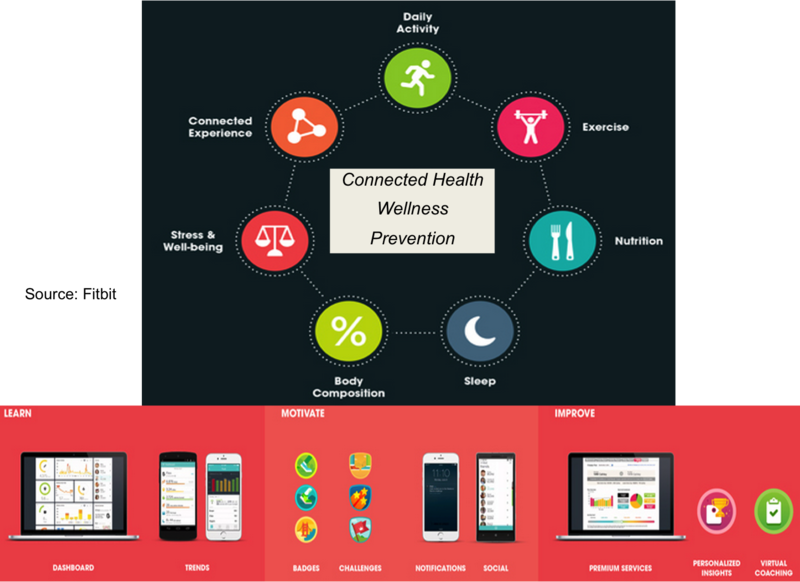 The mobile Health app and HealthKit enable the next generation of the Patient Portal, Quantified Self or Personalization of healthcare. It aimed at a diverse patient population continuum from people who have complex chronic diseases and need hands on care, on a regular basis to others need occasional care and reminders. Coupled with edge devices (bands, watches, phones), apps puts the power of information in the hands of individuals, enabling them to collaboratively manage their health with their doctors and care providers. Individuals can monitor their vital signs, keep track of diet and exercise, schedule doctor visits and manage their healthcare plans in a centralized manner thereby simplifying the healthcare experience. Care providers can leverage the application to drive the success of preventive care programs that are vital to navigating the challenges in a post-reform environment. 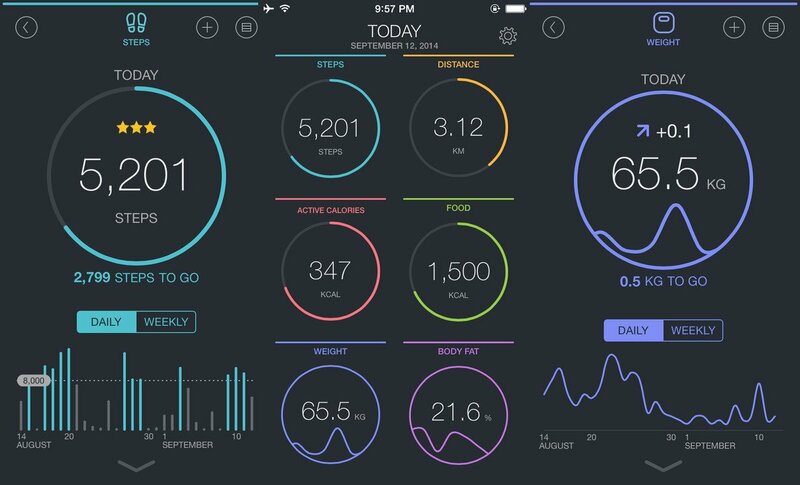 How do Health App and HealthKit fit together? What if you (and an authorized healthcare professional) can listen to your body biometrics 24×7? 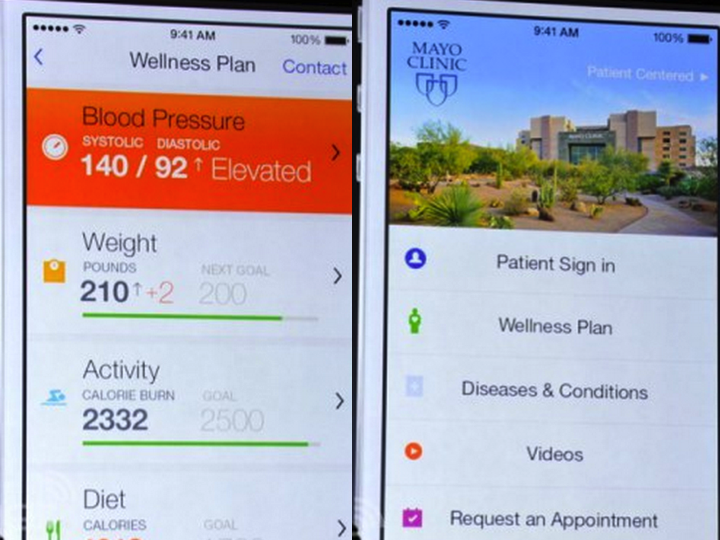 While developers use HealthKit, consumers will see the Health app. The concept is similar to Apple’s Passbook app, the iPhone’s virtual pocket for things like airline boarding passes, movie tickets and coupons. It will be able to pull in data from other third-party apps such as Nike to keep all your health-related information in one hub. Health works with Apple’s M7 chip, first introduced in the iPhone 5s, which tracks motion stats and enables collection of much of the metrics HealthKit aims to collect. [the M7 motion coprocessor and Core Motion framework combine to efficiently measure motion and heading data from the accelerometer, gyroscope, and compass]. M8 is used in the 6 and 6 Plus. How well Health will work with older iPhone models without onboard data collection is unclear. Regardless, Health and HealthKit sound like the software bedrock for the iWatch concept — a smartwatch/wearable of some form directly from Apple – coming next I would expect. According to Apple’s Craig Federighi, Today’s apps like FitBit, Jawbone UP can now track “everything from monitoring your activity level, to your weight, to chronic medical conditions like blood pressure and diabetes.” But right now that information lives in silos. Difficult to get a single comprehensive picture. Apple is seeking to breach these silos. Apple is also working with the providers to develop detailed use cases which have been lacking so far. Apple apparently worked with doctors at the Mayo Clinic to devise ways for health care providers to access and add to patient information in HealthKit. Apple also has been working with a large group of hospitals to figure out how HealthKit data can be made available to hospital information systems. Personal health data can also flow from HealthKit into the Mayo app and then into the Electronic Health Record (EHR) from Epic Systems . Epic is one of the biggest repositories of electronic health records (EHR) in the world. At recent count, Epic accounted for over half of all medical records in the U.S.
What’s next? Apple, like Samsung and Google, is innovating beyond wearable tech, and into new territory, where blood flow, hydration level, skin temperature, and more are being tracked constantly. The device itself looks like a watch; but it has a continues ticker, showing your heart rate and other biometric variables. Samsung has announced an equivalent of HealthKit called SAMI (Samsung Architecture Multimedia Interactions). Google is right behind with Google Fit. Both firms can’t allow Apple to distance itself in value creation. Getting the involvement of the healthcare community from the start is critical for the success of HealthKit. The hockey stick like adoption will occur if preventive healthcare outcomes truly can be impacted. With Accountable Care Act, keeping patients healthy is the name of the game for healthcare providers. Insurance payers are using a “value-based” model to reimburse health care providers. For instance, providers earn more money from payers if they keep post-op patients healthy enough to stay away from the hospital for the first 30 days after surgery. If many of surgery patients are readmitted within 30 days, the provider gets less re-imbursement. I would not be surprised if some forward thinking Health Insurance Payor subsidizes iPhone purchases in order to collect data or provides incentives in the form of lower premiums (like car insurance firms discounting for good driving habits). There is shift taking place from app launching to contextual triggering in the Internet of Things space. Apple Watch in my opinion is a ubiquitous device that is a game changer for IoT data collection and visualization. It gives users a more complete picture of all-day physical activity because it measures more than just the quantity of movement, such as the number of steps you take. It measures the quality and frequency as well. 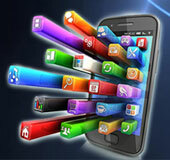 Integration with iPhone allows tremendous potential as the iPhone can act as a local server. Over time, Apple Watch can use what it learns about the way you move to suggest personalized daily fitness goals and encourage you to achieve them. 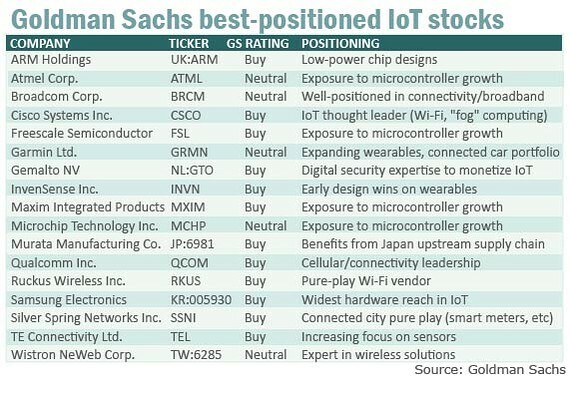 Goldman Sachs notes in a research report: While the fixed Internet connected 1 billion users via PCs, and the mobile Internet connected 2 billion users via smartphones (on its way to 6 billion), the IoT is expected to connect 28 billion “things” to the Internet by 2020. After Health… the next contextual triggering battleground seems to be home automation. Google buys NEST Home Automation Solutions for 3.2 Bln. To compete… Apple is introducing HomeKit, which includes new tools so all those garage doors, thermostats and smart light bulbs can be operated securely through Apple’s phones and laptops. HomeKit also allows users to group devices into scenes or control devices individually. A number of lights in a living room could be grouped together to create a relaxing mood, for instance, while others could be turned on while working. Additionally, HomeKit integrates with the Siri personal digital assistant. Users can tell Siri to turn on the lights in the living room or open the garage door. Integrated experience across all of our devices is the new mantra. U.S. healthcare is in the midst of a transition. As patient-centered, consumer-powered models take center stage, there will be industry-wide disruption – and opportunities will abound for companies like Apple that rise to the challenges of the new marketplace. With mobile Health app and HealthKit, the Internet of Things (IoT) enabled world just got more real. The data from HealthKit needs to be stored, secured and processed to bring customized and extensible experiences. Big Data and Cloud computing combined with Wearables and Sensors provides a new environment to collect, process and produce information based on the data collected. In many cases this data will be composed of multiple sensors readings, and need to be processed in order to produce new Customer and User Experiences. Creating a delightful user experience for Health app is vital for adoption. 1. 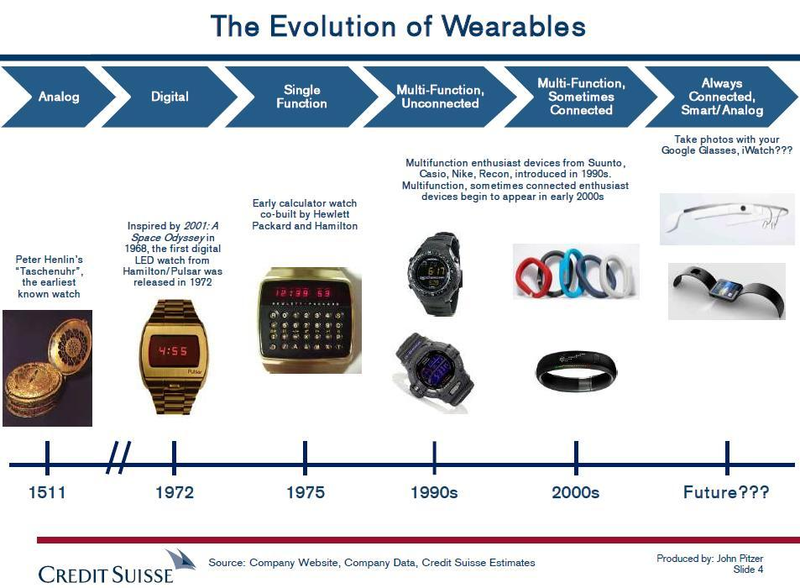 Quantified Self, Ubiquitous Self Tracking = Wearable Computing – I wrote a detailed blog posting several months ago. See this for background on Health Tracking. 2. Cloud Based Health Analytics and Decision Support Solutions Just got a lot more interesting. 4. Aople apparently has 800 million credit cards on file (from 400 million back in Q2 2012). This represents an amazing scale and customer trust. 5. Google has over 1 billion 30-day active users on the Android platform.